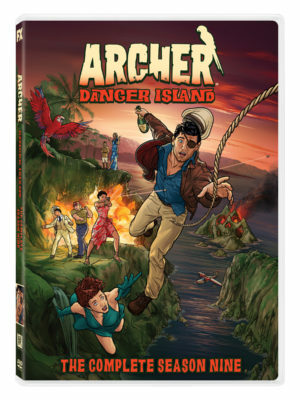 When I reviewed ARCHER: DANGER ISLAND (now available on DVD) in summer of 2018, I frequently pointed out just how strange this whole season had become with each and every episode. Starting with Season 5, ARCHER has become more and more bizarre with each season acting as more of a self-contained mini series with only the loosest of connections to the series as a whole. “Being the first episode of what is essentially another reboot, nearly all of the running time of this rather short episode (barely over 18 minutes) is spent establishing the new roles/altered names our characters now possess. “After last week’s somewhat bumpy takeoff, the second episode of DANGER ISLAND is a much-appreciated return to form for the show. “The third episode of ARCHER saw less action than the one before, but focused much more on the comedic aspect of the show, in what is easily the best episode thus far in DANGER ISLAND. “The fourth episode of DANGER ISLAND took a bit of a step backwards after the previous episode. While it introduce[s] a new rival for Archer and a humors backstory between them, not much really happened in A WARRIOR IN COSTUME. “Not only was some of the funniest dialogue of the season in this scene, but some genuinely moving emotions from both Archer and Pam after Archer finally snaps at her and blames her for everything wrong in his life. Archer has always had an incredibly interesting dynamic with Pam ever since Season 3, and it’s easy to see why they’ve been paired together so much over the years. 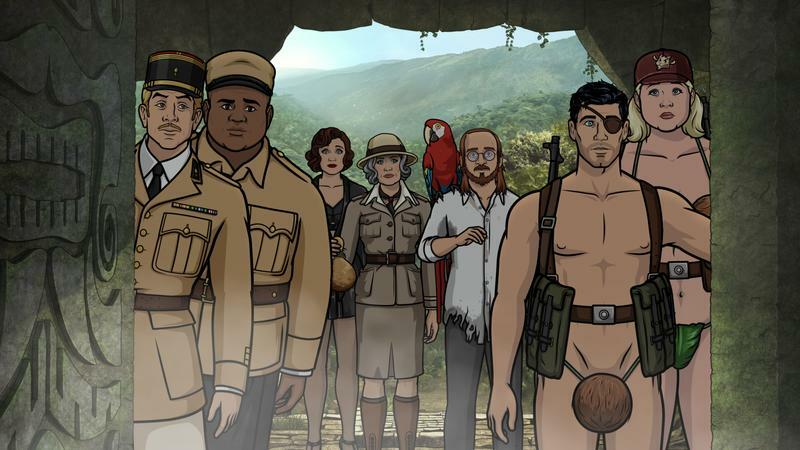 “Although not quite as enjoyable as last week’s outing on DANGER ISLAND, this week’s episode of ARCHER still brought the laughs and is looking to build up to a great conclusion. “While it wasn’t as comedically pleasing as episodes from recent weeks, it was still a satisfying battle-heavy episode with a few good laughs along the way. “After seven episodes that were mostly hit and miss, A DISCOVERY is one of the best the series has produced in years and does a fantastic job setting up the show’s tenth and final season. In a time where everyone is on a cannibal filled island in the 1930s and Krieger (Lucky Yates) is a talking bird, this is the episode where things get weird. There are only two special features to be found in this season. This is quite the shame as Season 9 is the biggest departure from the show’s initial premise, which would have been a great opportunity to hear much more of what the show runners had to say about it. Diehard fans of the show will likely feel more obligated to see it through to the end rather than by their own desire. All of that being said, there is still quite a lot to enjoy in DANGER ISLAND.